Preston North End welcome Championship leaders Norwich to Deepdale on Wednesday night. From likely line-ups to key men and the referee, all you need to know about the game can be found below. PNE: Rudd, Fisher, Storey, Davies, Hughes, Pearson, Gallagher, Potts, Browne, Barkhuizen, Maguire. 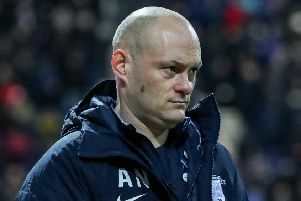 Alan Browne: The Irishman is going from strength to strength for PNE having made it 11 for the season at Bolton last time out. Turning into a complete midfielder, a goalscorer who can mix it when he needs to. Teemu Pukki: An excellent pick up on a free transfer, the forward has 24 goals in all competitions this season. Not particularly big, strong or fast but has a knack in front of goal of being relaxed when others tense up. Daniel Farke: The 41-year-old German was appointed as Norwich head coach in May 2017. He was named in succession to Alex Neil who was sacked two months earlier. Farke spent much of his playing career as a striker with SV Lippstadt and later held the roles of coach and sporting director there. Prior to getting the job at Carrow Road, Farke was coach of Borussia Dortmund II – Dortmund’s reserve side. His grandad played for Dortmund in the 1950s. Geoff Eltringham: It will be the official’s fourth PNE game of the season. He took charge of the 3-0 defeat at Leeds in September before overseeing North End’s 1-0 win at Bristol City in November. More recently, Eltringham was the man in the middle for the Lilywhites’ 1-1 draw with Aston Villa at Deepdale in December.